DrumPads is a set of virtual drum pads that can be played with the keyboard, mouse, or touchscreen. It features 12 pads and 100 high-quality drum samples. It can be controlled with the keyboard and is designed to let you play the drums two-handed, with the QWER and TYUI keys controlling pads 1-4, ASDF and GHJK keys controlling pads 5-8, and ZXCV and BNM, keys controlling pads 9-12. DrumPads also works well with touchscreens, allowing you to play using multi-touch to sound multiple drums at the same time. You can use the left and right arrows on each pad to cycle through the different samples available. If you find a set of pads you like, you can save the drum kit to be loaded later. You can also lock the pads to prevent accidentally switching drum sounds during a performance. 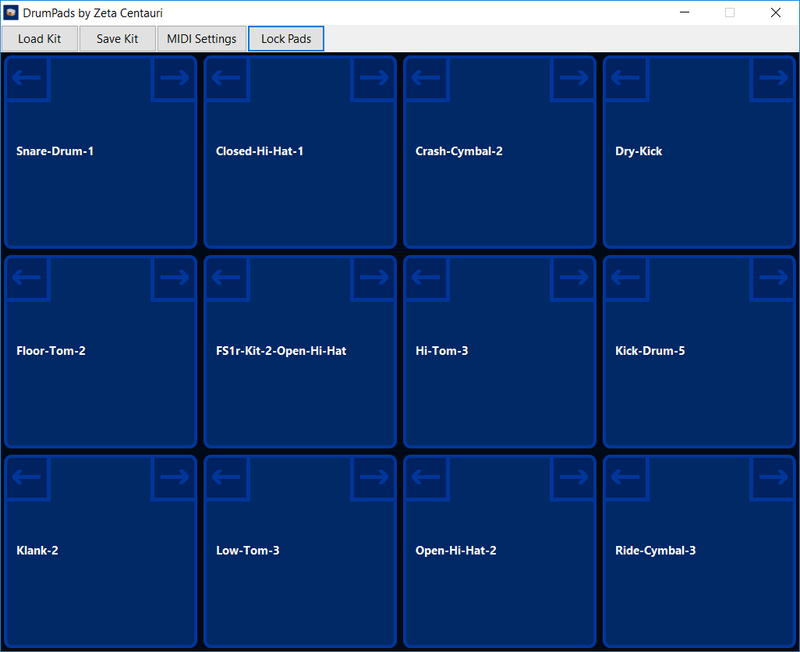 DrumPads 2 has MIDI support, and can be played with an external MIDI controller, drum machine, or keyboard. It works well with controllers such as the Korg nanoPAD 2 and responds to MIDI notes 36-47, usually the lower octave on a 5-octave keyboard and typically transmitted by drum machines. It also has MIDI output support. Transmitting notes is off by default because on many computers the default MIDI device is the MIDI mapper and it's weird to hear a piano note sound when you play a drum sound. It's a simple checkbox in the MIDI settings box, and when turned on, you can use DrumPads to play external MIDI devices. 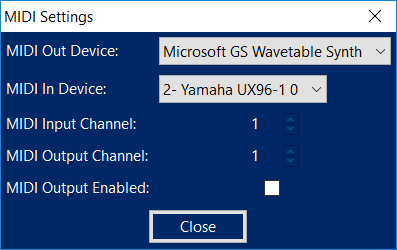 This means you could play an external MIDI-enabled drum machine using your computer keyboard, mouse, or touchscreen. The source code to DrumPads is available on GitHub under the terms of the MIT license. DrumPads has had more than 310000 downloads.